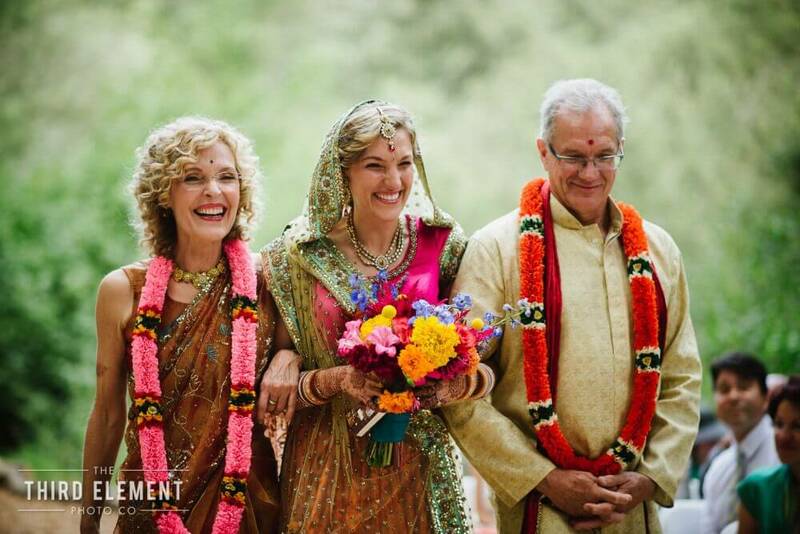 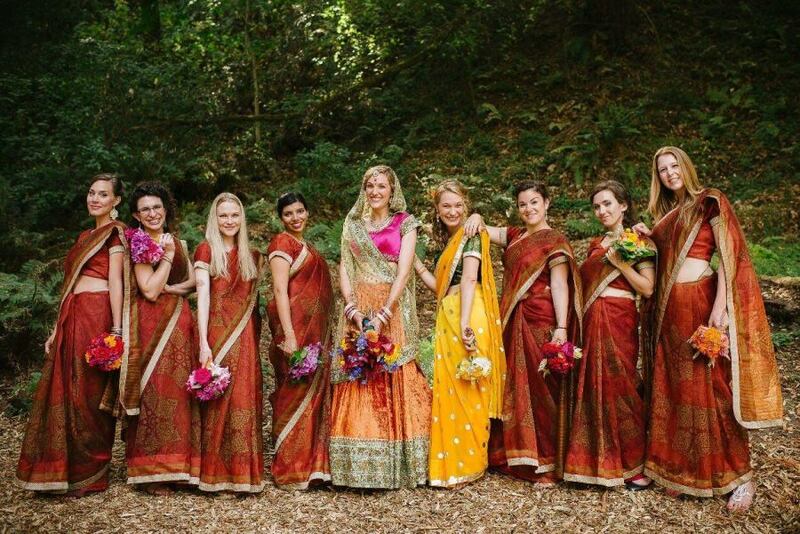 Home » Blog » The marigold inspired, rustic Indian wedding, reflects the love and respect for Nature. 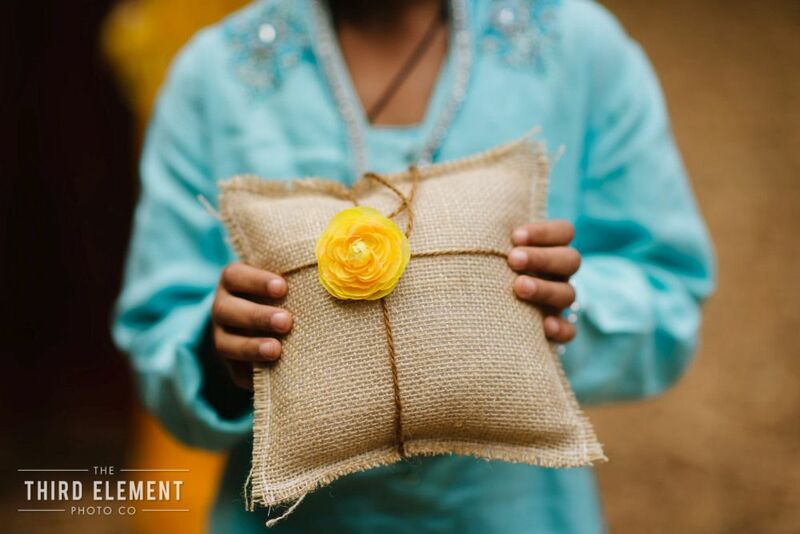 If flowers were to have dispositions, we think happily content, effervescent and blissful would be rightfully descriptive of Marigold. 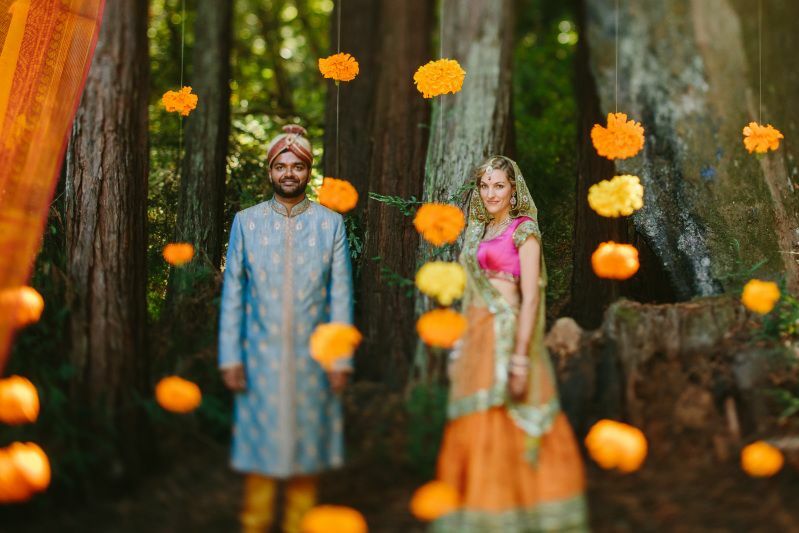 It is amazing how the spirit of the humble orange and yellow flower rubs off to the entire wedding ceremony of Gaurav and Adrienne. 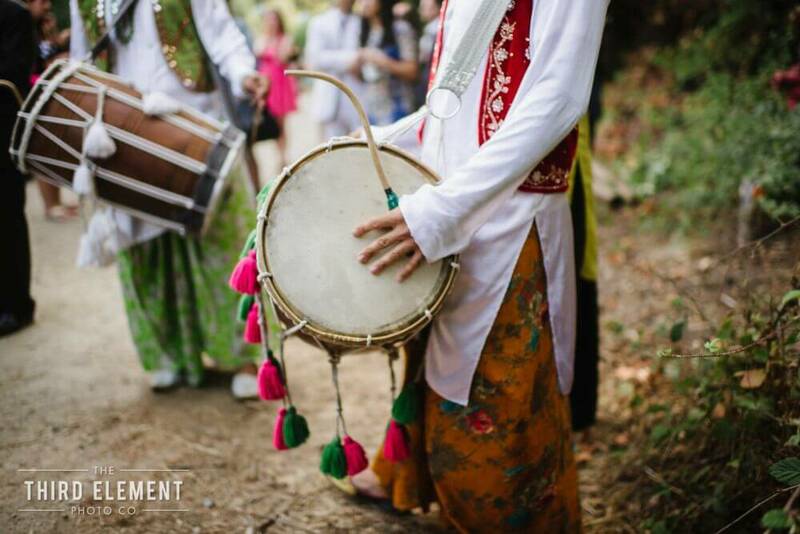 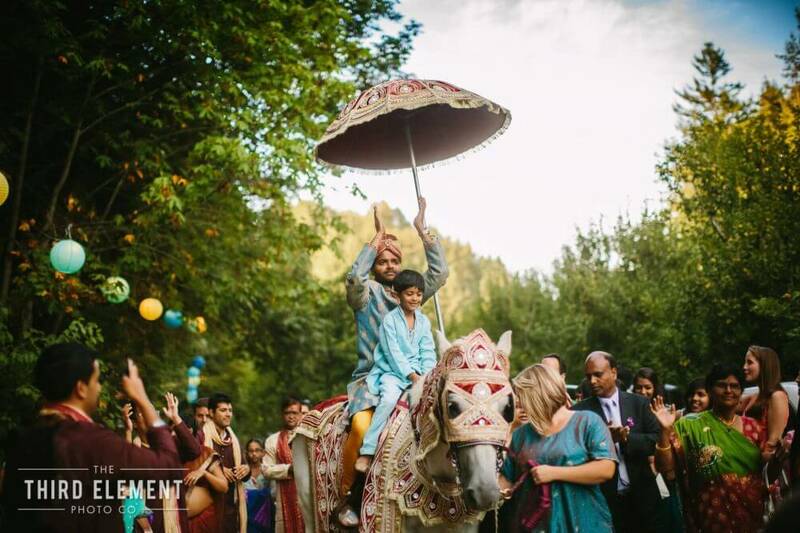 The groom rode to the venue on a white horse (the traditional Indian ritual and the fairy tale prototype of prince charming) with sounds of the Indian Dhol, flanked by his family and friends. 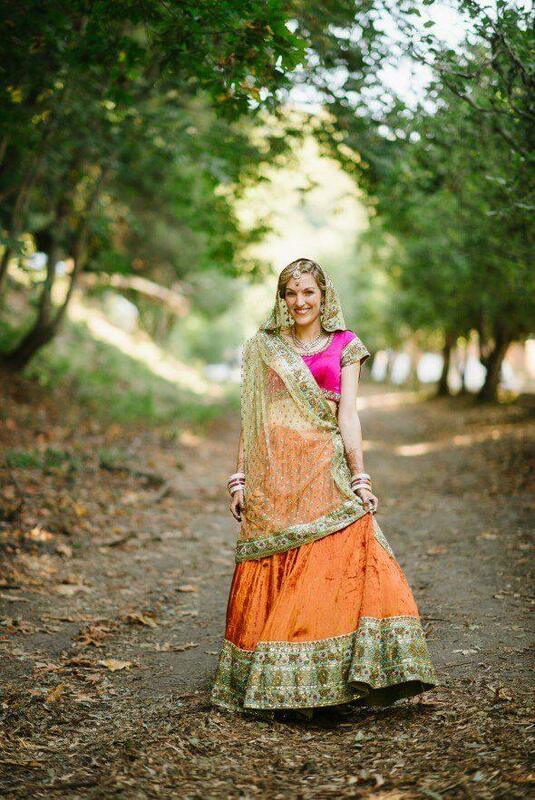 While the bride looked like a vision in fuchsia pink and burnt orange lehenga, we especially liked the shot where she is standing underneath the apricot tree. 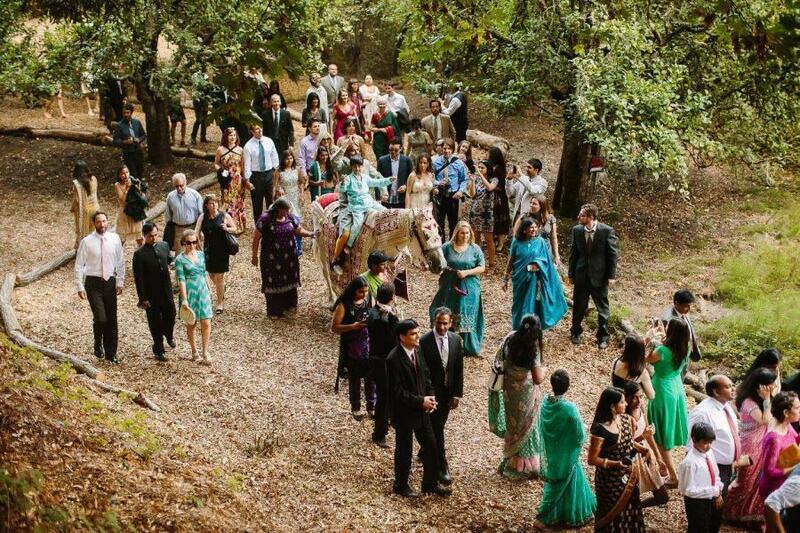 When the backyard of your house is the lovely woods, you don’t need to look out for venue for your nuptials. 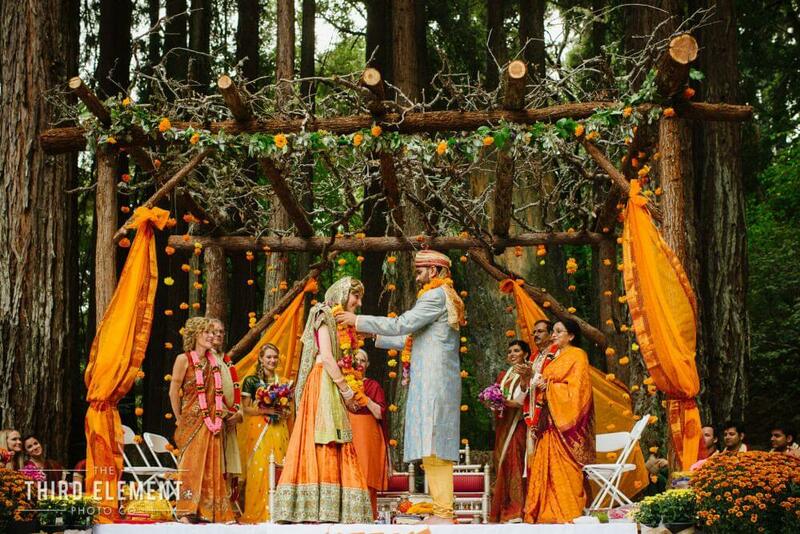 Shadowed by a grove of gigantic trees, as if blessed by guardian angels, the bride and groom exchanged vows under the mandap which was created with redwood trees, strings of marigold hanging and draped with saffron coloured silk sarees. 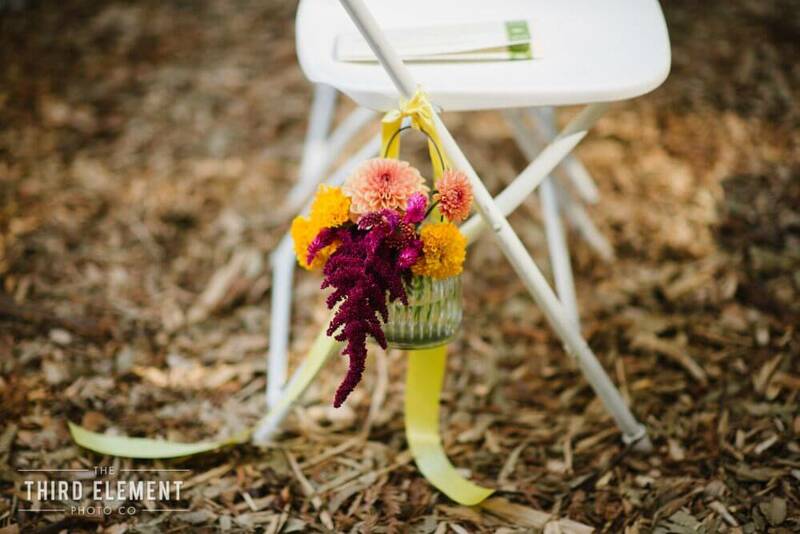 The seating arrangement was made around the mandap, white metallic chairs adorned with a bunch of flowers. 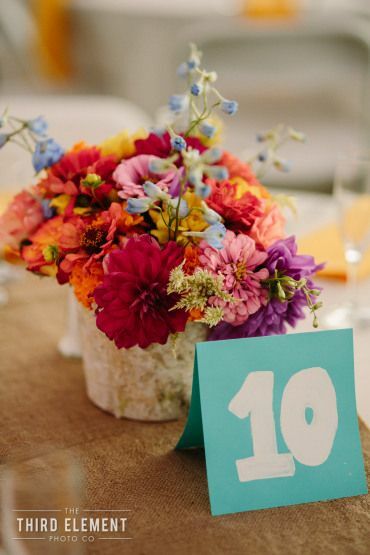 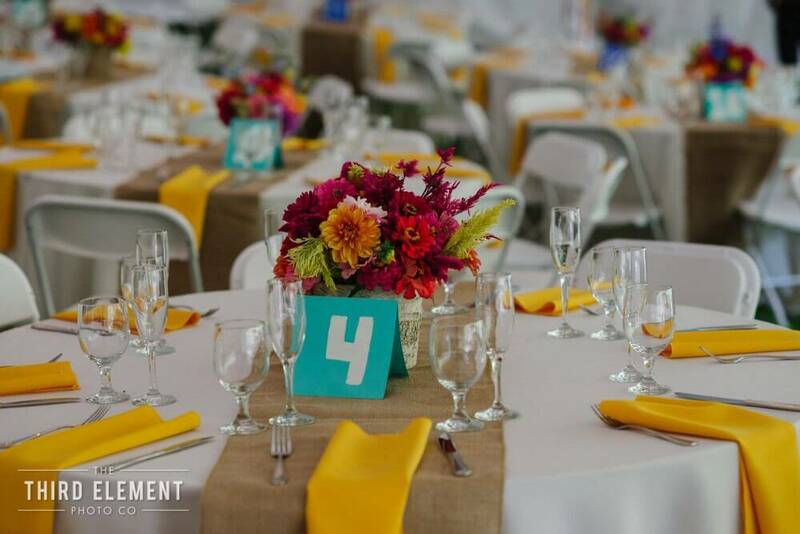 The décor for the reception up was kept minimalistic with a small bouquet of vibrant flowers as centerpieces and marigold yellow coloured handkerchiefs. 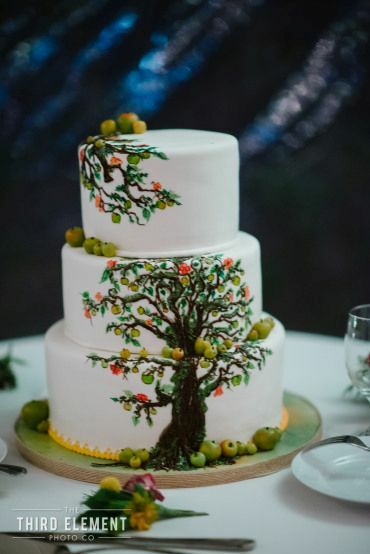 The cake with the tree design and the jute cushion favors, once again reflects the couple’s love and respect for the nature. 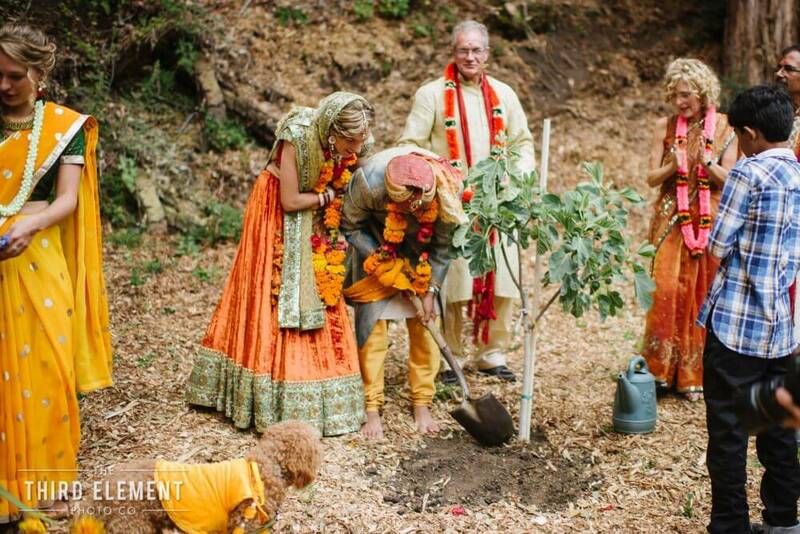 We possibly can’t think of better way for a couple to start a new life than planting a tree together. 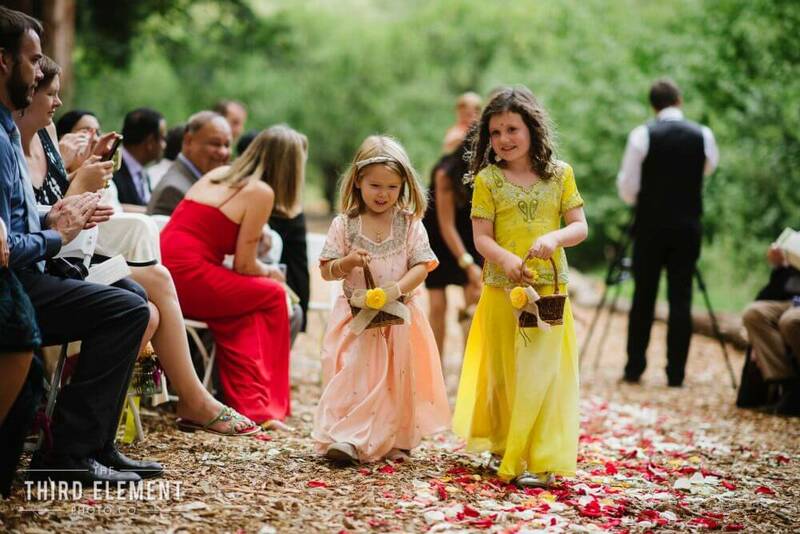 These small and big things about this wedding are the reason that we ardently love this ceremony. 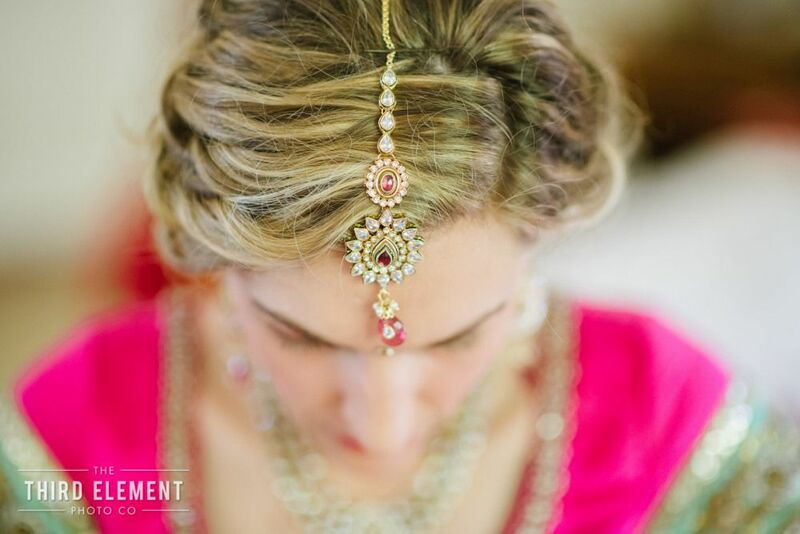 The ethereal beauty of the whole wedding is so stirring that we had to share it with our readers. 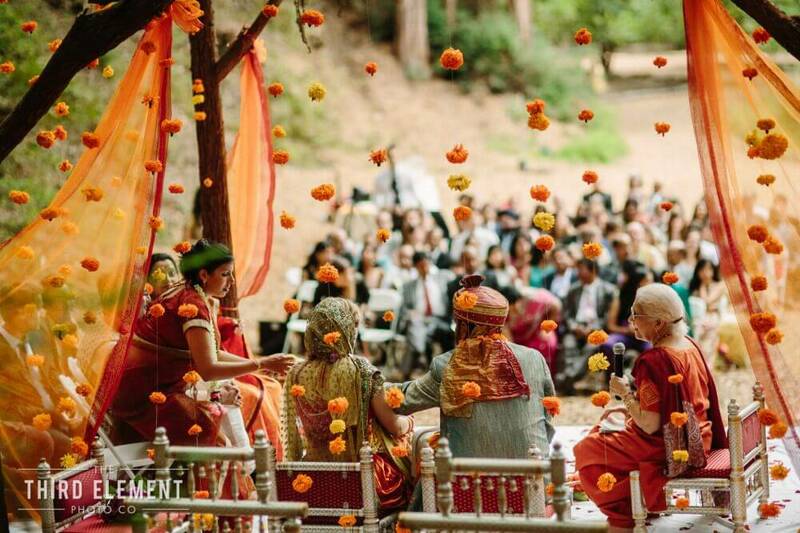 Scroll down to see the pictures and let the magic unfold. 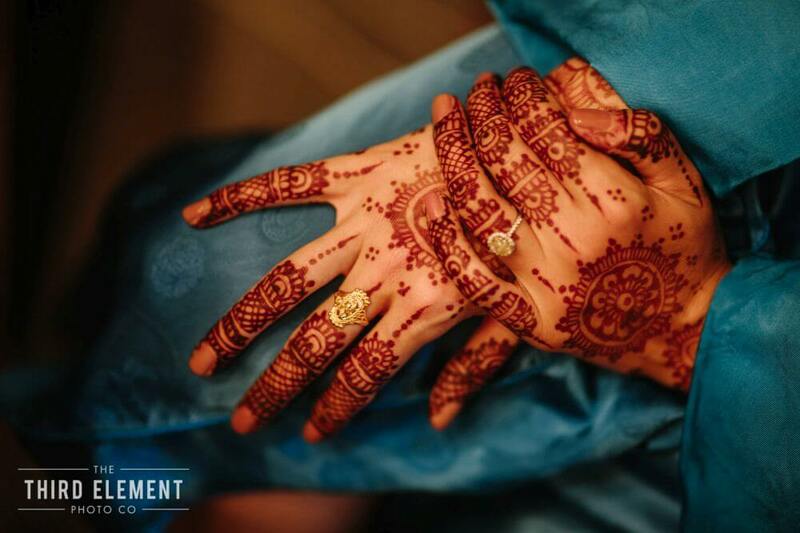 A+G Highlight from Third Element Photo Co on Vimeo. 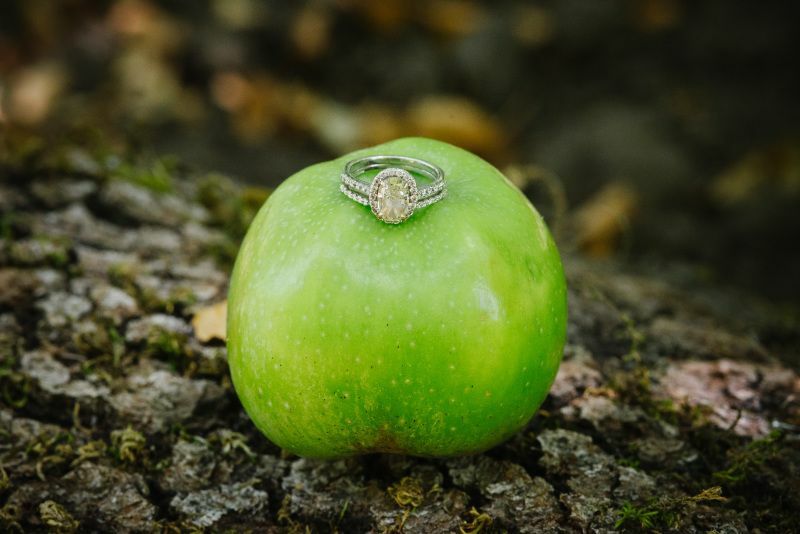 We feel when the nature is your canvas, there ain’t much of decking up required, because everything is beautiful as it is. 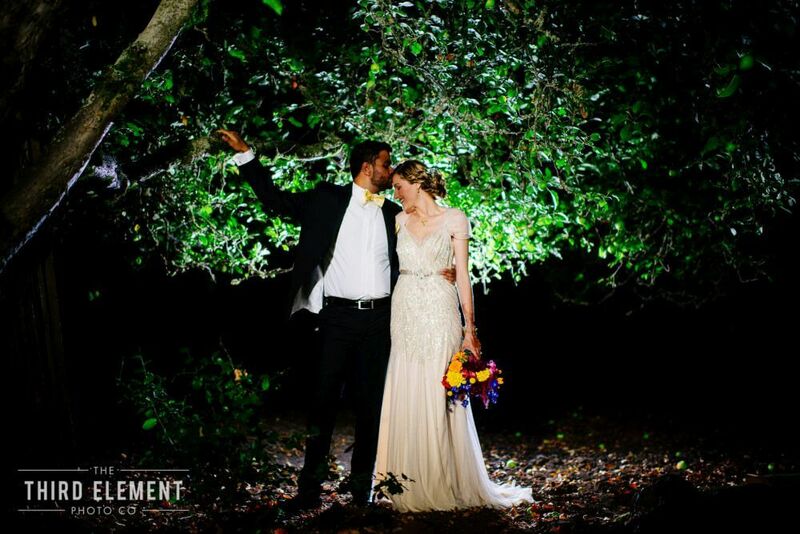 And this wedding is just that, effortlessly elegant, gracious and above all nature caring. 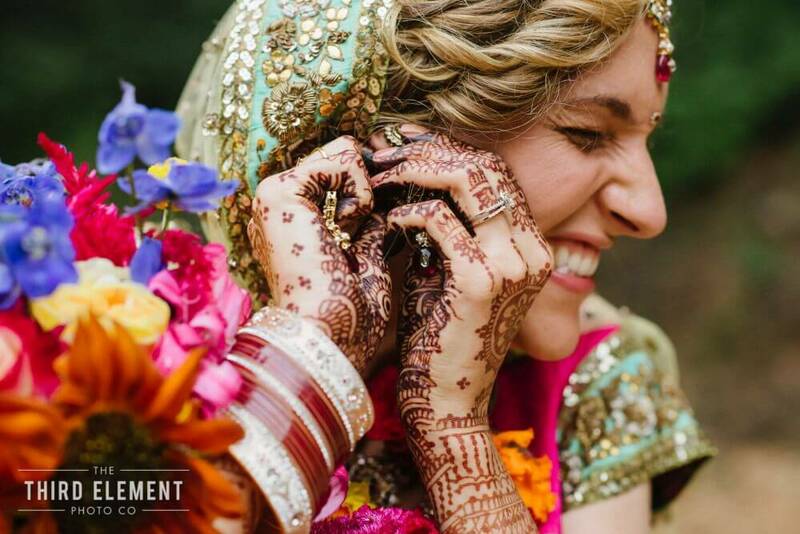 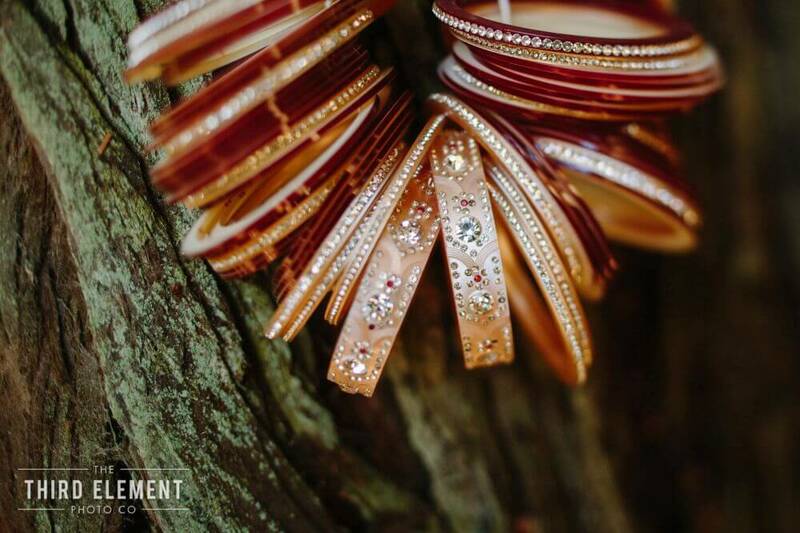 The essence of this vibrant wedding was captured by Third Element Photography and was put together by Event Planner tanaRi events.